IGNOU Recruitment 2019 - Apply Online for 34 Cameraman, Video Editor & Other Posts in IGNOU, New Delhi on Contract Basis. Online Applications are invited by Indira Gandhi National Open University (IGNOU) from 25 Mar 2019 to 21 Apr 2019 till 05:30 PM for 34 vacancies. 5+ years of experience in video editing from reputed Institutions/ Organizations. Expertise in video editing, preparation of documentaries, assembling recordings for broadcasting includes camera footage, dialogue, sound effects, graphics and special effects. 2+ years of experience in video editing from reputed Institutions/ Organizations. 5+ years of experience from reputed Institutions/ Organizations. Expertise in 2D/3D graphics designing and animation. 5+ years of experience in any reputed Institutions/ Organizations. Experience in 2D/3D graphics, animation and multimedia programming. 2+ years of experience from reputed Institutions/ Organizations. 2+ years of experience in any reputed Institutions/ Organizations. Experience in 2D/3D graphics and animations and multimedia programming. 5+ years of experience in ICT/IT based educational projects with reputed Institutions / Organizations. 5+ years of experience in handling projects in any reputed Institutions/ Organizations. Good working knowledge of office tools (Word processing, Spreadsheet, Power-Point). 2+ years of experience in IT based on educational Projects with reputed Institutions/ Organizations. 2+ years of experience in ICT/IT based educational projects with reputed Institutions / Organizations. Eligible candidates may apply online at IGNOU's website (direct link is given below) from 25 Mar 2019 to 21 Apr 2019 till 05:30 PM. Read the information carefully & Click on "Apply ". 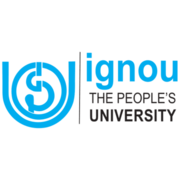 IGNOU Recruitment 2019 - Job notification for Full Time Academic Consultant Post in IGNOU, New Delhi on Contract Basis. Applications are invited by Indira Gandhi National Open University (IGNOU) on or before 26 Apr 2019 05:00 PM for 1 vacancy. IGNOU Recruitment 2019 - Job notification for Academic Consultant (Japanese Language) Post in IGNOU, New Delhi on Contract Basis. Applications are invited by Indira Gandhi National Open University (IGNOU) on or before 26 Apr 2019 till 05:00 PM for 1 vacancy.